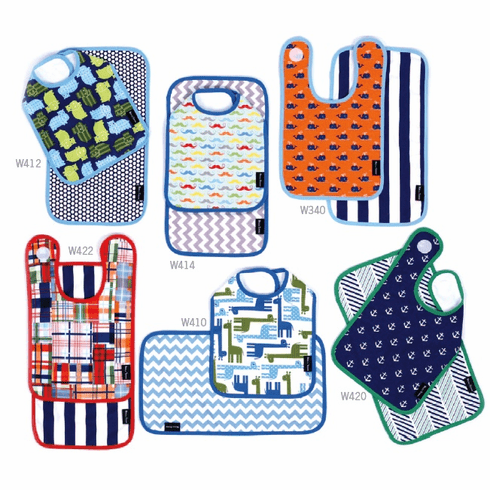 We have a great selection of Bella Tunno Bib and Burp Sets. These set include one Bib, size: 9� x 11� with velcro closure and one Burpie, size: 9� x 17�. Both feature super absorbent cotton front with ultra plush back.